THE BATTLE for the mayoral seat of Ankara will surely be one of the hottest contested in the upcoming elections at the end of March. A latest survey by the governing Justice and Development Party (AK Party) claims that Mansur Yavaş, nominated as the mayoral candidate for Ankara jointly by opposition IYI (Good Party) and secularist Republican People’s Party (CHP), is 7-8 point ahead of AK Party’s Ankara mayoral candidate, Mehmet Özhaseki. Political insiders are now saying Süleyman Soylu, Turkey’s Interior Minister, could be nominated instead of Özhaseki. A news report by Yeniçağ, a hardliner nationalist daily newspaper in Turkey, Ankara, Turkish capital city, whose election results are always a point of interest and one of interest in all Turkish cities, is anxiously awaiting to see if there will be a candidate change. In the latest eight election surveys, all of them carried out by AK Party, Yavaş, a joint candidate of Good Party and CHP is 7-8 point ahead of the AK Party nominee Özhaseki. Looking at these surveys, it looks like the AK Party is clearly worried about its performance in Ankara and the possible loss of the mayor’s seat in the capital city. The loss will surely shake up the state of affairs in the ruling party. As always, both Ankara and İstanbul have attached great importance by the political parties for their dominance power in Turkey’s ruling parties. If AK Party lost two strategic cities, it is highly probable the ruling party will enter hand-wringing days. Allegedly, the surveys also observed that mayoral candidate Özhaseki has hardly garnered any votes from the nationalist electors of Ankara. In the news, it is also pointed out that consensus (on the name of Yavaş instead of Özhaseki) of nationalist electors, who are considered to be a key electorate to determine votes in the Turkish capital city, has triggered long-standing efforts for new candidacy both in AK Party headquarters and Presidential palace. 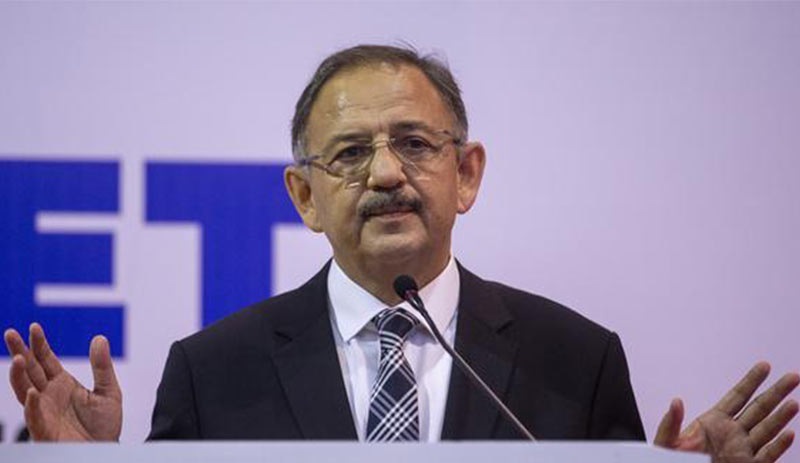 Yeniçağ also alleged although a large amount of spending has been made for the election campaigns for Özhaseki and President Erdoğan’s personal involvement in the nominee process, this did not bear any fruit for required votes to secure Ankara. Meanwhile, Optimar and ORC, pro-government public survey companies, jointly announced last week Yavaş is in a six-pointer lead ahead of Özhaseki and the gap is opening to the detriment of Özhaseki. The announcement has allegedly attracted the public’s attention. Yeniçağalso reported it’s of late observed Soylu, who was not using the nationalist rhetoric before and once, one of the fervent defenders of the solution process (known as peace process which aimed to resolve the long-running Kurdish–Turkish conflict), has been using the nationalist rhetoric frequently. According to the former Peoples’ Democracy Party (HDP) deputies, Soylu distinguishes himself with his harsh critics of PKK (Kurdistan Workers Party). He has also stopped remarking towards the rhetoric of granting citizenship to Syrian refugees. Such comments would be viewed, allegedly, as hampering AK Party’s mayoral chances and surprising the party’s loyalists in Ankara.